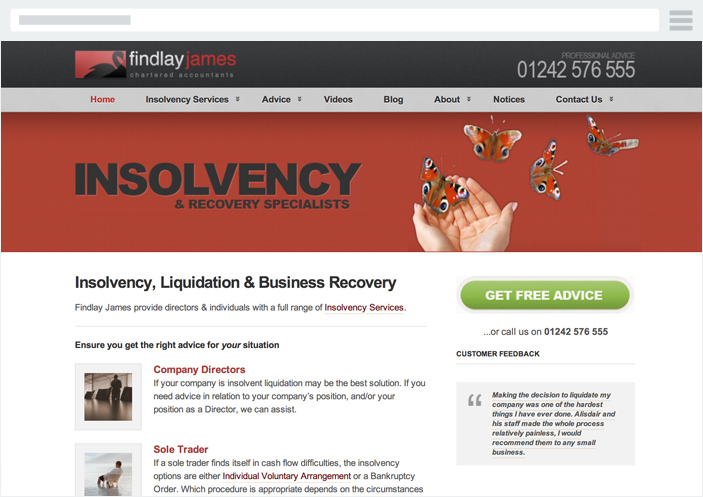 Insolvency Direct is brought to you by Findlay James Insolvency Practitioners. The firm was founded in April 1999 by Alisdair Findlay, who trained as a Chartered Accountant, then as an Insolvency Practitioner. Findlay James operate nationwide, working closely with our network of independent firms of Accountants, using our unique web based operating platform to deliver services locally. By investing in technology over several years, both from a marketing and operating systems perspective, Findlay James is able to offer a high quality, streamlined service at a competitive price. After 20 years successful trading, Findlay James have been appointed on nearly two thousand formal insolvent and solvent appointments including voluntray liqudiations, administrations, IVAs and bankruptcies, covering all sizes and types of business. We have several specialist Insolvency websites, providing useful videos and content to explain the various Insolvency proceedures. Depending on your financial situation, there are a number of options available, Whether the best option for your company is a formal insolvency procedure or a business recovery plan, it is best to speak to an experienced professional as early as possible. Learn more about Findlay James Insolvency Practitioners. 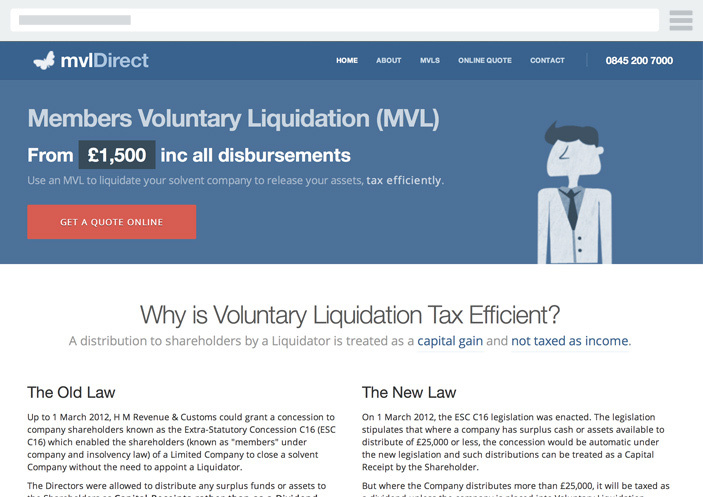 MVL stands for Members Voluntary Liquidation. Use an MVL to liquidate your solvent company to release your assets, tax efficiently. MVL Direct's online liquidation system has simplified the MVL process so we can offer low cost, fixed fees members voluntary liquidations. If your company is insolvent, and you want to limit your liability - liquidation is the simple solution. 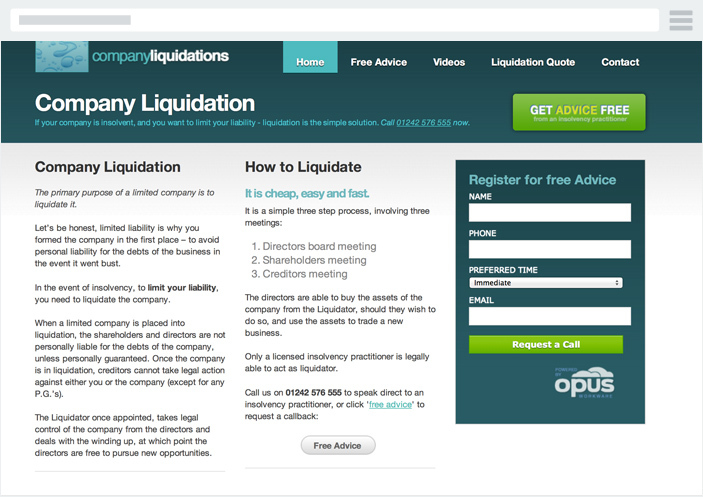 Our Company Liquidations website provides no-nonsense information regarding the CVL process, outlining the risks of CVAs, and provides video advice on liquidation and company administration.